Choose from a wide range of flexible travel insurance policies, with a range of options to cover specific travel insurance needs. Choose between annual multi trip and single trip policies, all with a range of options to suit your travel insurance needs. Up to £15 million cover for emergency medical expenses, and pre-existing medical conditions covered. Couples can be covered under the same policy or cover two adults and any number of children under one family policy when travelling together. you have first-class travel insurance in place. Offering a range of flexible travel insurance options, tailored to suit your needs, single trip travel insurance and multi trip policies include a host of benefits and features, and a wide range of options mean you will pay only for the cover you need, and no more. You can tailor your travel insurance with specific options that can be added to the standard travel insurance to ensure you are fully covered whether it is for a winter sports holiday, business trip, or even your wedding. Get the same excellent cover as standard whether you choose annual multi trip or single trip cover. If you aren't planning on travelling more than once in the year, then the single trip travel insurance is for you. 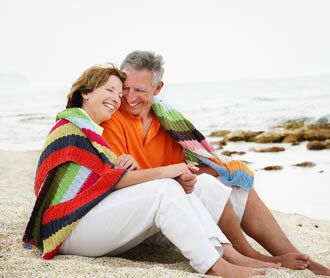 Only covering you for the length of time you are away will save you money, but ensure you are still fully covered. There is also the benefit of there being no age limits on single trip policies and you can set the trip length from one day to a maximum length of 210 days. Add any of the travel insurance options to your single trip travel insurance to get the best cover for your travel requirements. For those who travel more than once a year, annual multi trip travel insurance could save you time and money. Finding appropriate travel insurance can be difficult and stressful if you have any pre-existing medical conditions or disabilities. When you find a provider they can often charge high premiums to cover all your requirements. We offer travel insurance for disabled travellers that covers any pre-existing medical conditions or disabilities, and once insured we do not require you to tell us about any new medical conditions until your renewal date. Loss of medication and cost of urgent replacement is covered up to £300. If your carer has a policy and falls ill, we cover the cost of flying a replacement carer out to you.· Cover for wheelchairs and mobility aids, and cover for cost of hiring replacements. Often on holiday just being insured for your baggage, belongings and cancellations isn't enough, getting the most out of your holiday often means trying new sports and activities available to you, which is why you will also be covered for more than 60 sports and activities as standard, covering a wide range of activities that you are likely to participate in during your holiday whether it is in the UK or abroad, including mountain biking, beach games, scuba diving up to 18 metres and swimming with dolphins to name a few amongst the many others we cover you for. A variety of team sports are also covered under the standard travel insurance policies so you can play cricket, handball, netball, rounders, softball and volleyball as well as several others safe in the knowledge that you are covered should an accident happen. For the full list of sports and activities covered please read our policy document. Get travel insurance specific to your holiday, read more about the additional travel insurance options we offer below. If you are setting off on a ski or snowboard holiday then getting travel insurance specific for this is essential. We offer travel insurance that covers you for accidental loss, theft or damage to your skis, ski boots, ski poles and snowboard, or for hired equipment. We also offer ski equipment hire cover, whereby we pay for the cost of hiring replacement equipment as a result of the loss of, theft of or damage to or temporary loss in transit of your own ski equipment. Ski pack is an option that covers you, in the event of an accident or illness, for the unused portion of your ski pack (lift pass, ski school fees or hired ski equipment). Avalanche and landslide cover to pay for accommodation and travel expenses incurred in reaching your booked resort or returning home. With the weather as unpredictable as it is, it is not uncommon to find the ski piste being closed, protect against this with piste closure insurance. 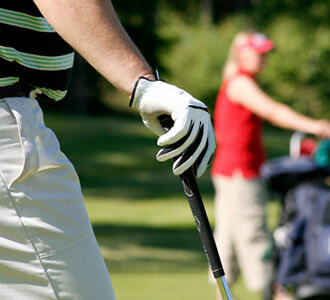 If you are going on a golf holiday whether it is in the UK or abroad, you need to ensure you have sufficient travel insurance to cover your golf equipment, green fees and golf buggies. With the golf travel insurance option we will pay up to £75 a day for any irrecoverable unused green fees if your trip is cancelled or curtailed. Additional cover of up to £1,000 for your golf equipment, including, golf clubs, golf balls, golf bag, golf trolley and golf shoes. Up to £300 for the emergency replacement of golf equipment should yours be temporarily lost in transit. Golf buggy cover should you be involved in an accident we pay up to £2 million against any amount you become liable to pay as compensation. If you travel for business then you need to ensure that you are fully covered for any additional business items you carry with you such as business laptops, PDA's and mobile phones. 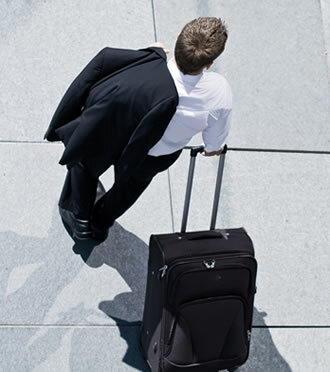 We offer a business travel insurance option, which covers up to £750 for loss, theft or damage to business equipment. Also if you are unable to attend the business trip, instead of disappointing customers or missing out on important meetings, we will pay for the accommodation and travelling expenses incurred in arranging for a colleague to take your place. 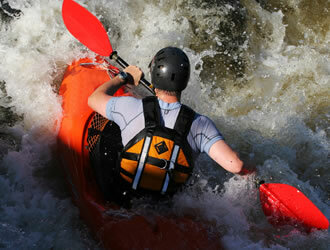 Option of annual multi trip business travel insurance. Cover for replacement colleague to take your place should you be unable to attend. Business equipment covered for loss, theft, and damage. Standard travel insurance covers a wide range of activities and sports, however if you are going on a cruise you need specialist cruise travel insurance to cover you against specific events which could ruin your holiday. Getting married abroad is becoming increasingly popular, getting specialist wedding travel insurance is essential to cover the important items that make up your special day. Wedding travel insurance option gives you all the benefits of the standard travel insurance plus additional cover for the wedding attire, ensuring that should the wedding dress, which the bride has spent hours deciding is the one, go missing in transit or be stolen or damaged, it is covered by the travel insurance. Cover for up to £1,000 for your wedding attire, and £300 for each wedding ring. Wedding gifts either taken or purchased on the trip, are insured for up to £750. Should the photographer booked not be able to attend, you will be insured for additional photographs to be taken, or if the photographs are lost, stolen or damaged. When planning your holiday, a concern for many people is that their flight could be cancelled or delayed for a long period of time, travel disruptions cause for unplanned expense in booking extra nights accommodation or different flights. 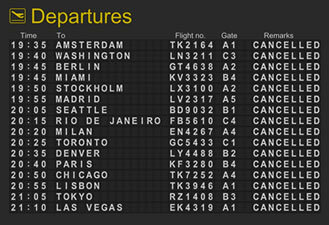 With Travel Disruption cover you are insured for flight cancellations, FCO + WHO advising against travel, the insolvency of accommodation providers or their booking agents, fire, flood, earthquake, explosion, volcanic eruption, tsunami, landslide, avalanche, hurricane, storm or an outbreak of food poisoning or an infectious disease meaning the booked accommodation cannot be used. Delayed departure compensation to help pay for meals and refreshments whilst you wait for the next departure. If onward connecting public transport of which you are booked on is delayed or cancelled, you are insured for additional travel and accommodation costs. Peace of mind that you are covered you for cancellations or curtailment charges whether it affects you before you leave, during your stay or whilst on the way home, for up to £7,500. 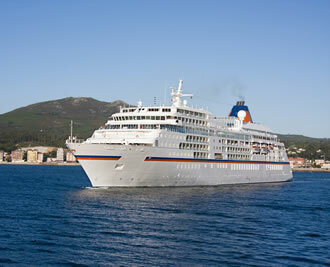 Full details of the cover provided with our travel insurance are included in the policy booklet. If you would prefer to receive a quote or buy our travel insurance policy over the phone, you can speak to one of our highly trained staff. Adrian Flux Insurance Services, Sunworld Travel Insurance and AXA Insurance UK plc are authorised and regulated by the Financial Conduct Authority. This can be checked on the FCA register by visiting the FCA's website at http://www.fca.org.uk/. Policy terms and conditions may vary, full details available on written request to our postal address. Â© Adrian Flux Insurance Services, 2016. All rights reserved. Please Note our Authorised and regulated by the Financial Conduct Authority (FCA) registration number 307071.